Okay, only Megan said she would enter my blog party. And no one has voted on my poll to enter my blog party. I really need you guys to spread the news about it. Also, if anyone has a week they're on vacation, going to camp, or whatever just comment and tell me so I can plan. I want everyone to be able to enter! Yes, I'll join it! Thanks for following me! Thanks for commenting on my blog! Yes, I will participate in your blog party. I find myself extremely busy at this point in my life, but I think I might be able to scrape up some time... Could you tell me a little bit about what you are planning to do? Your blog is great, and I look forward to coming back soon... I'm going to follow you! May I ask, on what blog did you find my link on? I'm just curious :). 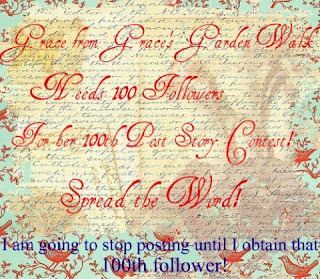 I would like to join although I'm not 100% sure what a blog party is...I haven't been blogging very much so if you would explain a little bit to this newcomer I would appreciate it. :) Great blog!